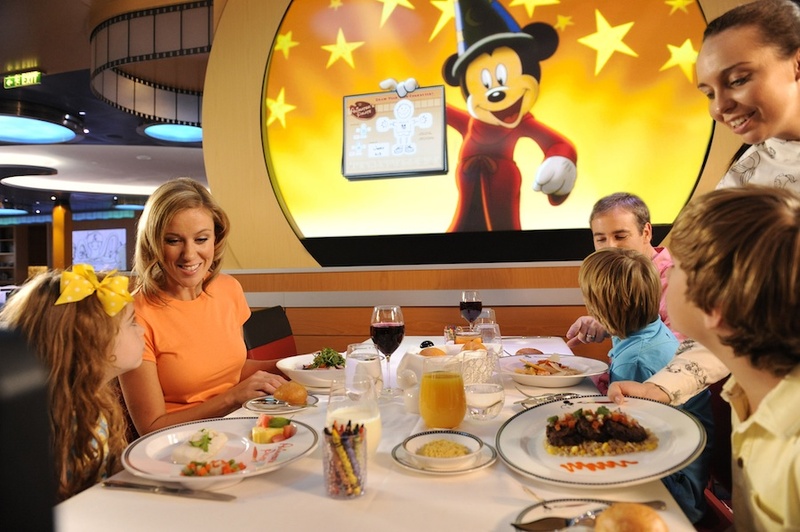 When Disney Cruise Line entered the cruise business in 1999, they made cruising a genuine "family" experience. Up until that point, most cruise lines focused mostly on adults, with very little consideration (in services or offerings) given to younger members of the family. When the Disney Wonder launched in August of 1999, it redefined the cruise industry and its impact over the last ten years has been evident. As you embark on an award-winning vacation experience unlike any other, you will be amazed by what’s included in the price of your cruise. Discover what sets us apart during a one-of-a-kind voyage that features outstanding dining, world-class entertainment, spacious accommodations and legendary service. 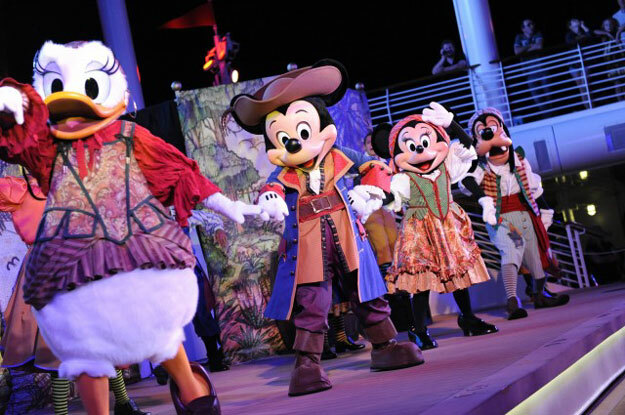 Come onboard and be a part of the magic and fun that only Disney can provide. From the moment you step on board to your last wave goodbye, your vacation includes almost everything you and your family could hope for—and much more. Savor a wide variety of dining options sure to satisfy even the pickiest of palates, thanks to fresh, expertly prepared dishes available 24 hours a day. Dining options include: three lavishly themed Main Dining restaurants, a charming casual buffet, convenient quick-service dining, 24-hour room service, complimentary soda, tea and coffee on deck and in the dining rooms, all-you-care-to-enjoy soft-serve ice cream, late-night snacks in the adult nightclubs and lounges and kids clubs dining. Behold Broadway-caliber musicals and fireworks at sea, celebrate at deck parties and watch new Disney movies in 3D. Family-friendly activities and experiences include: extravagant live shows and entertainment every night of your cruise, unique deck parties starring favorite Disney Characters, immersive kids clubs for every age with specially trained counselors and the longest complimentary hours at sea, adults-only nightclubs and lounges, themed dance parties, trivia, mixers and karaoke, character meet-and-greets at designated onboard destinations, fun-filled activities for every age—sun-up to well after sundown, first-run and classic Disney movies out on deck or in state-of-the-art theater spaces and live music throughout the ship.